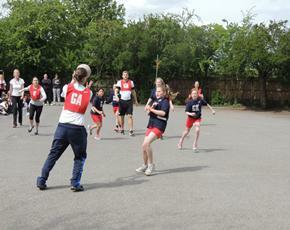 Friday 1st May was our 4th Anniversary of becoming the first primary academy within the Diocese of Oxford. 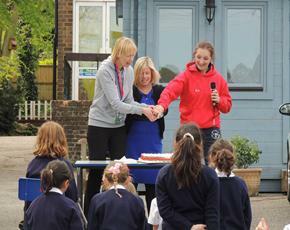 As a tradition, we always celebrate the day, marking the start of a new era of the school. 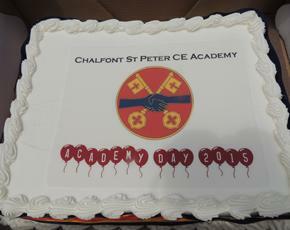 Today was no exception and as children arrived, balloons decorated the gates and preparations for a special lunchtime were underway. 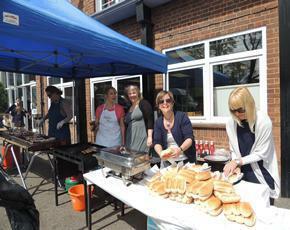 PTA members barbecued 400 sausages for the children which they ate with relish outside with picnic blankets to sit on. 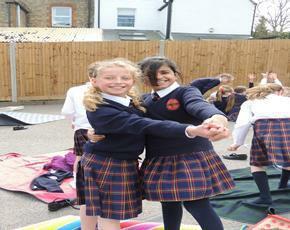 Blessed with sunshine, music playing from the Learning Chalet encouraged some dancing and 'performing' to take place! 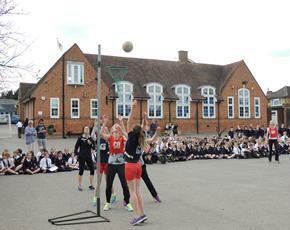 During the afternoon, the staff played netball, taking on the challenge of the high achieving Y6 A and B teams before a special Achievement Assembly held in the hall. 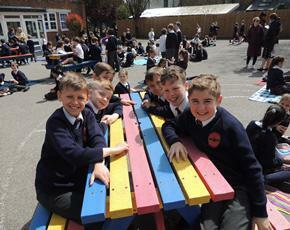 The day was rounded off as all children received a special bookmark created for the occasion, quoting the verses from the Bible, Numbers Chapter 6: "The Lord bless you and keep oy. The Lord make his face to shine upon you and be gracious unto you. The Lord lift up the light of his countenance upon you and give you peace." 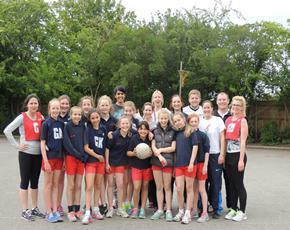 A special day, for a special school.